batam activity: Housing Ameria Batam Centre "Price Light, Satisfactory Facilities"
Housing Ameria Batam Centre "Price Light, Satisfactory Facilities"
PT Sinar Graha Indotama as the developer of residential and shopping complex in Batam re-released the newest products. This time the housing is located in Batamcentre Ameria, exactly near the RS police is ready to ship. Ameria was built in two types-type 32 and type 38, and two-storey shophouse. "For our 32 type marketed for Rp136 million. As for the type of unit 38 is opened with a pretty price, Rp165 million," said the son of one of his marketing staff housing Ameria when met yesterday at the exhibition site Mega Mall, Batamcentre. 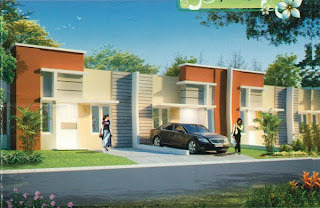 Housing is located on the edge of the highway ROW 200 has access to transportation to all parts of the city of Batam. Public transport with a mate-Nongsa route crossed this line 24 hours. If you need a quick, taxi orders could also be easily find likasi housing. "Just do not lose, going everywhere we can, and quickly," he explained. In addition, public facilities such as markets, tourist attractions Sekilak, and industrial areas, as well as the hospital was very close. 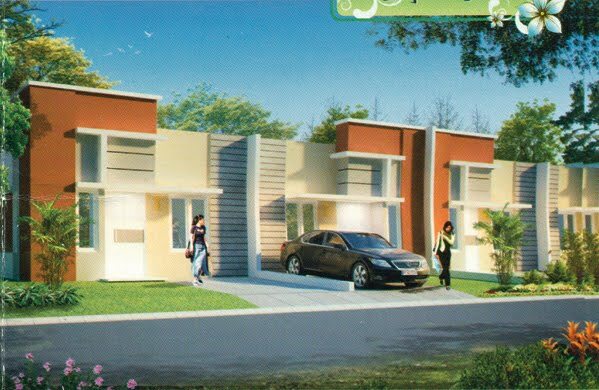 The house is habitable because of the built using reinforced concrete, brick walls, roofs using spandek, full floor tiles,, the main door of the panel, aluminum windows, and ceiling gypsum. "Then to the shop, we give the main door folding gate, making it safer," he continued. For those of you who want to mortgage, this might be a little illustration of the benefit. I pay for the house type 32 with a land area of ​​78 standard positions on the price of Rp138 million, you can give So Money Mark (REEs) amounting to Rp2 million, if you credit for 15 years, the first installment of up to five you only pay Rp 1 million only perbulanya and it is included free AJB, BPHTB & SHGB. So for those of you who want to have it, are you waiting for, because the unit is limited and the promo, immediately came to the marketing office or call 0778-7872666.